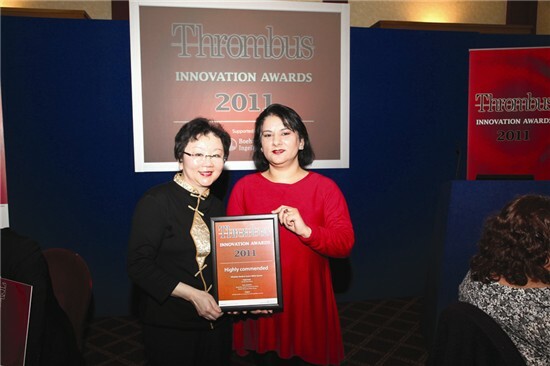 The Thrombus Innovation Awards are designed to highlight projects that demonstrate innovation and excellence and have improved the delivery of services to patients with venous/arterial thrombosis. 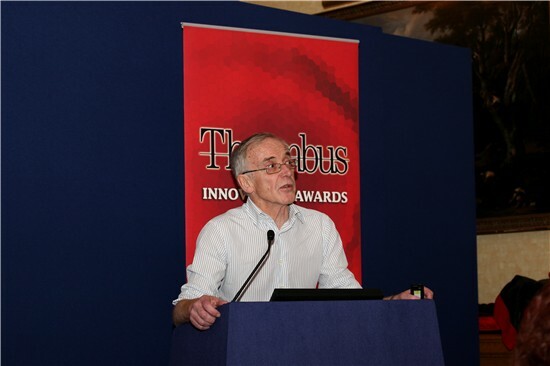 The Awards ceremony is an opportunity to provide recognition of projects that have helped patients, and have the potential to be expanded and adopted elsewhere. 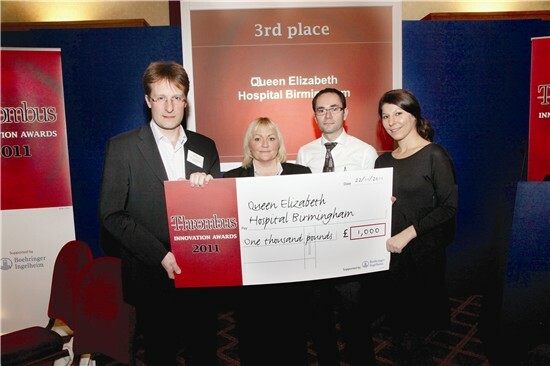 Prizes are awarded to the top three entries. 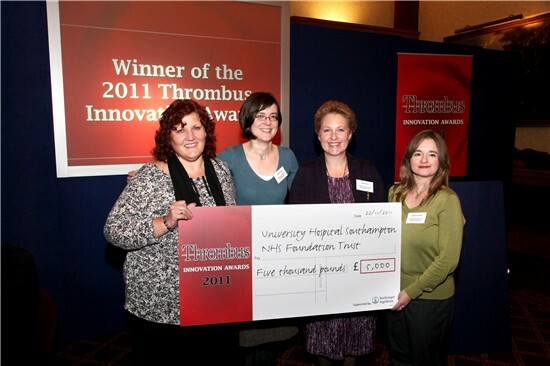 The 2011 ceremony was held on 22 November at the Royal Society of Medicine in London, with prizes of £5,000, £2,000 and £1,000 presented by Peter Rose, Editor of Thrombus and Consultant Haematologist at Warwick Hospital. 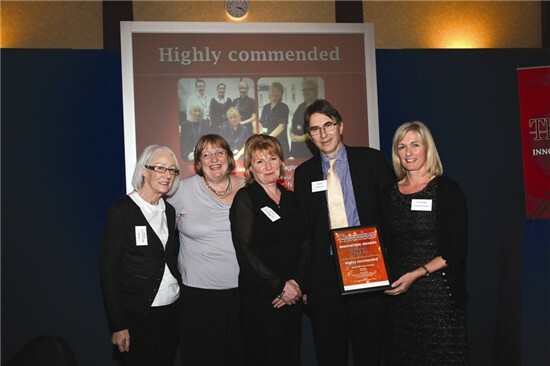 To find out more about the three winning – and two highly commended – entries, download the Awards supplement. 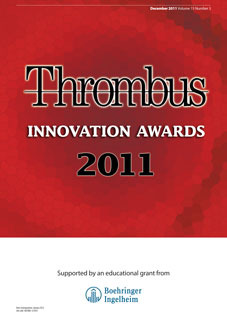 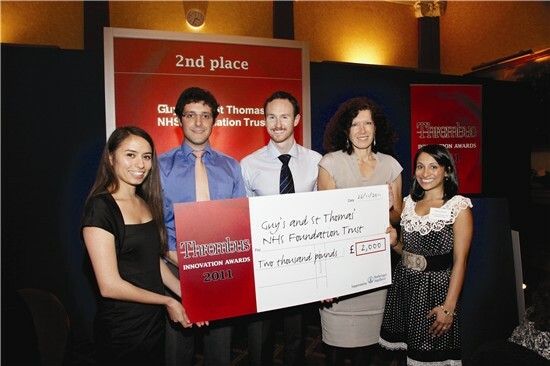 The 2011 Thrombus Innovation Awards were organised by Hayward Medical Communications and supported by Boehringer Ingelheim Ltd.